﻿Yom HaAtzma'ut: Calendar, History, Tweets, Facts, Quotes & Activities. 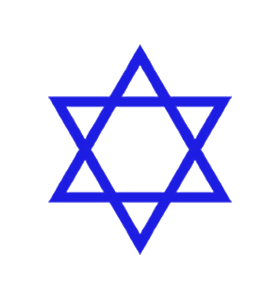 Yom Haazmaut (Hebrew: יום העצמאות)is Israel's Independence Day. Israel declared independence on May 14th, 1948. This was only a few hours before the British Mandate of Palestine was to draw to an end. Yom Haazmaut is a public holiday in Israel. All commercial establishments are closed, apart from Restaurants, Cafes and Bars. Israelis celebrate Yom Haazmaut with an opening ceremony, comprising lighting of the Masuot (twelve torches, one for each of the twelve tribes of Israel). The honor of lighting each torch is given to outstanding Israelis, such as brave soldiers and policemen, scientists, artists, senior citizens and the like. Yom Haazmaut always occurs the day after Yom Hazikaron (Memorial Day to honor fallen soldiers and soldier victims of terrorists). There are typically firework displays at night, airplane displays and bands during the day. Israeli citizens spend Yom Haazmaut with family and friends, often in a Park, on a beach or at home. The Israel Prize is given in scientific fields to notable scientists, artists and people who made a lifetime contribution to the State of Israel. Many Jewish prophets in the Bible prophesied that the Children of Israel would return to their land. Isaiah, Jeremiah and Zachariah made notable prophecies. For example, Jeremiah 29:10. This is what the Lord says: 'When seventy years are completed for Babylon, I will come to you and fulfill my good promise to bring you back to this place'. In the 19th century, Theodor (Benjamin Zeev) Herzl was the visionary of the State of Israel in his book Altneuland , 'The Old New Land' in 1902. Tel Aviv (old hill/ new spring) was established in 1909. According to Rabbi Tzvi Yehuda Kook and many others in the Religious Zionist camp, the founding of the State of Israel was considered to be Atchalta DeGeulah the beginning of the final redemption. In the Talmud (Sanhedrin 98a) it is stated by Rav Aba Ein lecha meg'uleh mizu , there is no greater indication of the end of days than that which the prophet Ezekiel (Ezekiel 36:8) prophesizes, Now mountains of Israel, your branches shall come forth and your fruit will be offered to my people Israel. The return of Jews to the Holy Land was also mentioned by Isaiah: On that day (the day of the redemption) a great shofar will be sounded, and those who are lost in the land of Ashur (Assyria) and those who are dispersed in the Land of Egypt will return to the Holy Land. (Isaiah 27:13). Attend a Yom Haazmaut Party, held at many local Israeli/Jewish Communities on the Eve of Yom Haazmaut. Typically, Israeli food is served, followed by a fireworks display. A live broadcast of the Yom Haazmaut ceremony from Har Herzl, Jerusalem may be watched and culminates in the singing of the Hatikvah, the Israeli National Anthem. Attend a lecture on the connection between Jews, Israel and the Bible. Yeshivah University holds many public lectures on this topic. Attend a Yom Haazmaut Concert. There are many venues for Yom Haazmaut concerts including popular ones at New York City and Stamford (CT).